The Equality Commission is working with the Department for Employment and Learning (DEL) and the STEM Business Group to address gender imbalance in STEM (Science, Technology, Engineering and Mathematics) businesses in Northern Ireland. The ratio of male to females employed in STEM-related industries is 3 to1. This is not only a gender equality issue but a broader economic issue which impacts on business growth and development. A report by the STEM Business Group, “Addressing Gender Balance – Reaping the Gender Dividend in Science, Technology, Engineering and Mathematics” (pdf, 1.1mb), highlights how attracting and retaining a more diverse workforce can maximize innovation, creativity and competitiveness in the STEM market. The report also contains good practice guidelines for addressing the gender gap in STEM and has useful case studies of local companies who are already taking action to improve gender diversity in their organisation. Latest signee: Dr Terry McIvor, Chief Executive Officer of the Academy for International Science and Research (AISR) has recently signed up to the commitments of the STEM Charter for Business. The Equality Commission welcomes the commitment of the Academy to the promotion of equality of opportunity for women in STEM industry. Following the successful launch of the STEM Charter, the Commission convened a STEM Employers Equality Network. The aim of the network is to bring employers together to discuss common employment issues, share good practice in respect of the recruitment and retention of females in their workforce and identify challenges to the promotion of equality of opportunity for women in STEM industries. Participation in Networks can help you gain knowledge on specific initiatives to improve equality practice within the workplace and realise positive outcomes for employees. The Network events are open to new and existing members - we hope that you can participate and help to inform our work to promote gender equality and diversity in STEM industries in NI. If you are interested in joining the network contact Frank Fleming on 02890 500681 or email ffleming@equalityni.org. We look forward to meeting you and working together to promote gender balance in the Northern Ireland STEM workforce. The first meetings of the STEM Employers Equality Network were held in Belfast in September 2014 and February 2015. This was followed by an event June with guest speakers from the Ulster Bank and Women in Business discussing internal and external networks. A further STEM Network meeting was held in September 2015 at Malone House, Belfast, where Joe McCarron from the Employers Network for Equality and Inclusion gave a presentation on Unconscious Bias and a conference on addressing the gender gap in STEM industries was held in November 2015. 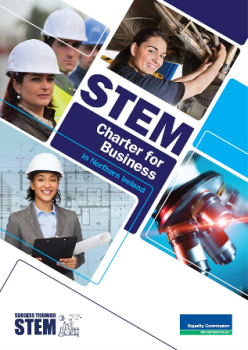 The first North West STEM Employers Equality Network was held in April 2015 in the City Hotel, Derry. The event was very well attended with 32 participants contributing to the discussion. Maria McGilloway, Strategic Policy and Legal Manager, University of Ulster gave a talk to the group on the University’s Athena Swan Initiative. Four organisations signed up to the STEM Charter at the event. Another meeting was held in October 2015 in the White Horse Hotel, L/Derry and further STEM Network meetings are scheduled. Southern Area network - New! A new Southern Area STEM Employers Equality Network has been established and held it's first meeting on Thursday 13 October 2016, at Interface Europe Ltd, Craigavon. We would encourage STEM employers in the Armagh, Banbridge and Craigavon areas to join up and attend our next event. Sharon Martin, IT Service Delivery Manager at Terex, explains how promoting gender equality has benefited their business. The video also looks at how STEM companies can promote gender equality and how the Equality Commission can help with this process. We can help STEM employers prepare for the introduction of GPGR regulations by discussing the topic at the next employer STEM network meetings. We will be hearing from an employer who has already carried out a gender pay report. The first session is in Malone House Belfast on 25 October, 10am-12:15pm, and in the City Hotel, L/Derry on 26 February 2019. If interested in attending, please contact Frank Fleming, ffleming@equalityni.org or Heather Wilson, hwilson@equalityni.org or Tel: 02890500600. 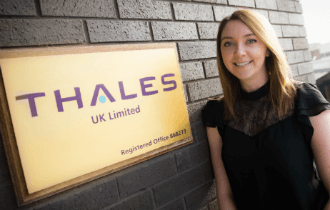 Lesley works for Thales UK in the Systems Design and Synthetic Environment Team as a Systems Engineer. She said, “I have been extremely lucky on my STEM journey. At university I chose to study Aero-Mechanical Engineering as it combined my love of physics and maths along with the complexity of aircraft design and manufacture." 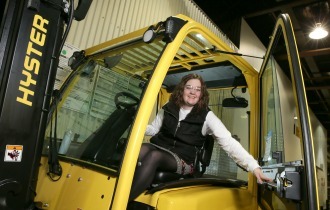 Lauren Cross is a Test and Development Engineer with Hyster-Yale and loves her job. Technology has always been Lauren's favourite subject. She studied Technology, Physics and Maths for A level and also completed an AS Level in Politics. After leaving school she studied for a Masters degree in Product Design Engineering, in the School of Mechanical and Aerospace Engineering at Queens University in Belfast. “The degree covered so many aspects of engineering from CAD, to Rapid Prototyping to Economics / Business Models to Legislation and Standards,” she said. 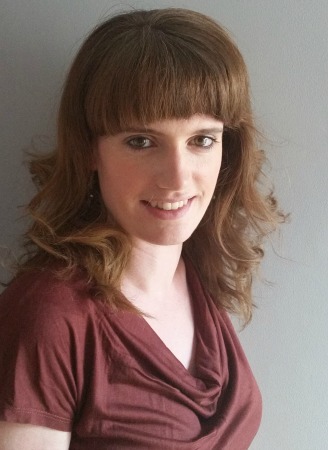 “I don't think I could have chosen a better degree to set me up for my current job role”. Olivia wanted to study for a degree which would open doors to a range of jobs, rather than narrow her choices. This led to her studying Chemical Engineering at Queen's University and completing an MPhil research degree. After graduating, Olivia worked for a local quarrying company before joining Bombardier Aerospace as a Materials and Process Engineer in the Chemical and Environmental Technologies group. She said "It’s also great to know that we’re making the aerospace industry as a whole safer for people and the environment. "An aircraft can have a lifespan of 40 years so my work today will be keeping people safe as far away as the 2050s!